Carbonated soft drinks have existed for centuries, but their popularity has risen in recent decades. Individuals of all ages reach for a can of soda whenever they are thirsty, crave sugar, or want a treat. If you want good overall health as well as dental health, encourage everyone in your family to avoid this habit. The large amounts of sugar in regular soda make it a very unhealthy substance for your teeth. This sugar will build up and damage your tooth enamel. Sugary soda and other foods and drinks greatly increase your risk of tooth decay. Diet soda, however, is not the solution. Diet soda will also weaken your tooth enamel. This can lead to cavities because it is easier for bacterial plaque to penetrate the tooth. If your tooth enamel is damaged, this will affect the tooth’s appearance. Enamel damage causes the dentin to be seen, and you will experience tooth yellowing, and they will look duller. Less enamel can affect a tooth’s chewing surface as well, which can result in tooth sensitivity and pain. Brushing your teeth immediately after drinking soda can cause more damage. The acidic effects of soda leave the enamel weak, so brushing aggressively after drinking pop can cause even more damage. If are concerned about oral health, soda is not the right beverage for you. Soda can be harmful to your overall health, too. Short-term effects include an increase in blood sugar and blood pressure, increased dopamine production, and dilated pupils. After the sugar high wears off, mental fogginess, lethargy, fatigue, and mood changes can follow. 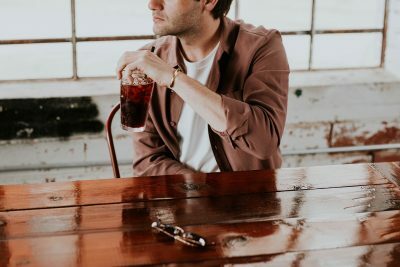 Drinking too much soda can increase your risk of lung issues, coronary heart disease, kidney stones and kidney disease, osteoporosis, and problems with cognitive function. The cans and bottles that soda comes in also often contain BPA. This is a chemical that can cause cancer. It can also lead to reproductive abnormalities and premature puberty. The simplest way to avoid complications associated with carbonated beverages is to not drink them at all. Whenever you are tempted to drink soda, choose a healthier alternative. The best drinks for your body are water and milk. Sugar addiction is learned, and it can be unlearned. If you are like most people who crave sugar, this habit started when you were young. Each time you feel the need to drink soda, have fruit juice or a piece of fresh fruit instead because these contain natural sugars. You can take this approach to everyone in your family. Instead of rewarding your children with sugary treats, introduce them to healthy options. While citrus fruit is acidic and too many can be bad for tooth enamel, you can encourage your kids to eat apples, plums, bananas, peaches, pears, and non-acidic berries. It should not take long for your kids to prefer healthy treats over sugar. At the same time, set a good example by avoiding soda in favor of products that are good for your body and your teeth. You do not need to avoid sugar entirely when you want overall health and oral health. An occasional treat is not a problem when you practice good dental care. However, soda is a harmful product that has no real benefits. You can eliminate it from your diet and be healthier. Contact our office to learn more about healthy foods for your teeth or to schedule an appointment.